← Welcome to Term 2! And now, for the LONG BREAK! Term 2 is already over – doesn’t it seem short when it’s only 6 weeks long! For most students you will be sent the invoice for any lesson payments remaining outstanding. I am now taking a long hiatus to finish off my PhD and submit it. I plan to do this by the end of July, so I thank you in advance for your patience as I do the required edits to complete the work that has taken over my life over the last 5 years. In other news I have recently published a book: While you won’t want to personally pay the sort of enormous fees Springer are charging for this, please let your schools know and encourage them to purchase a copy for their singing teachers. There’s lots of great information for all kinds of singing, from classical to country music and everything in between, plus information on how to teach Musical Theatre, popular music and how to put on a show. 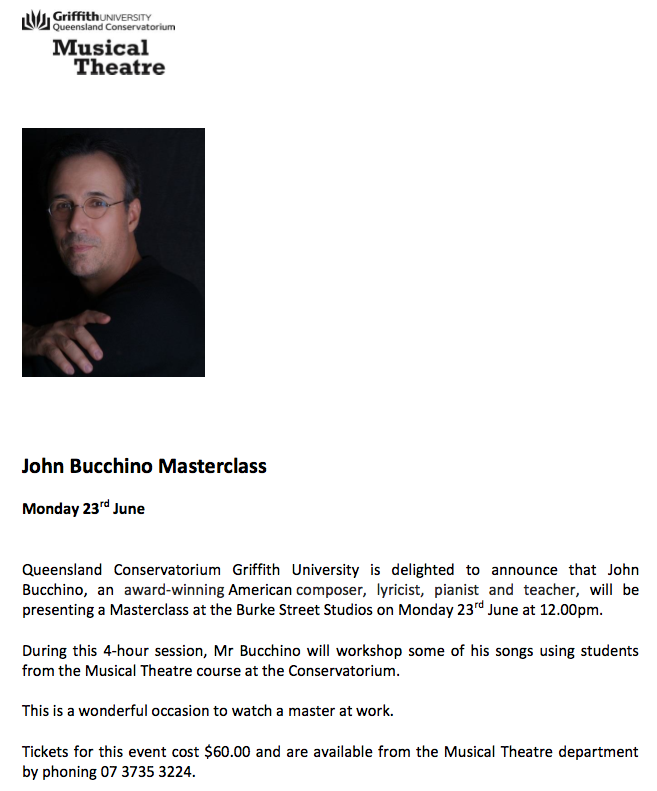 In the meantime, I am running the Audition workshop at the Queensland Conservatorium, Griffith University again this year. I encourage all young people who are in years 10, 11 and 12 who wish to pursue a life in the theatre to take part in the workshop, and to learn how to audition for our programs. We are nearly full up already, but do check out our information on the Griffith University website for more information. Plus, in January 2015, we are putting on our very first Musical Theatre Summer School! All is revealed on the website but do email musical.theatre@griffith.edu.au with any queries. A reminder that lessons recommence on Monday JULY 28. Happy holidays, all! 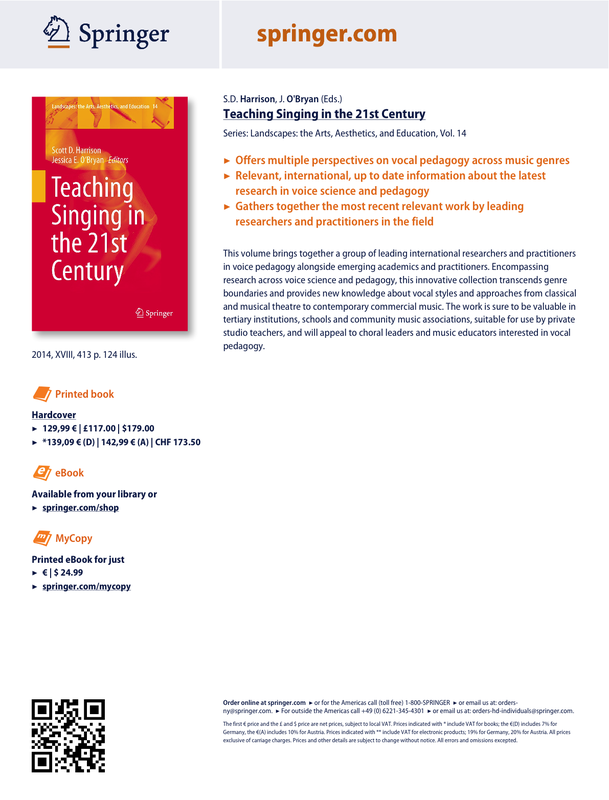 This entry was posted in EVENTS, News, Research in Singing and tagged Griffith University, John Bucchino, Queensland Conservatorium, Springer publishing, Teaching Singing in the 21st Century. Bookmark the permalink.